Tarek Chemaly: Master's goes nuts! Master's potato chips makes its way into the nuts territory (a field already crowded actually). And the whole ad centers around the idea "what does Master's potato chips has to do with nuts?" 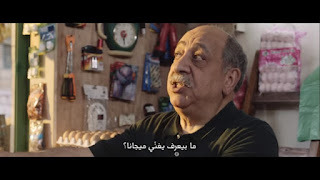 - which brings a lovely monologue from the shop owner (excellent copy actually) which centers around "who does this does that" but in pure Lebanese slang - I love the bit "he who sings Attaba sings Mijana" (two traditional forms of singing in Lebanon). What I really dislike though is the tagline, "try the difference" - I mean this is so bad because the "try etc" only lasts for a month or so - and then what? What is the brand's intrinsic promise? See the full ad here.